Soo Greyhounds General Manager Kyle Raftis announced this afternoon that JOHN DEAN has been named the team’s new Head Coach. “We are excited to announce that John Dean has been named the 20th Head Coach in Soo Greyhounds team history. 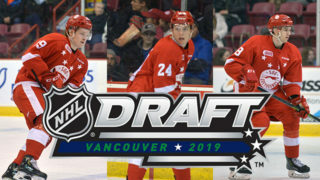 John’s passion and his ability to articulate his plans for the future of the Soo Greyhounds hockey club was very impressive and evident when going through our search for the next head coach” began Raftis. 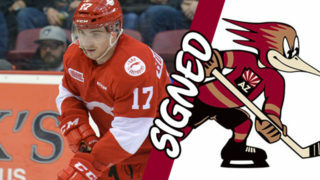 “We are very confident that John is the right fit for the program at this time. John understands today’s athlete and has a proven track record of success. He’s an effective communicator, teacher and committed to pushing this franchise to the next level” he ended. The 37-year old Dean joins the Greyhounds after spending last season (2017-18) as Head Coach / Assistant GM of the Toronto Patriots of the Ontario Junior Hockey League (OJHL). There, John led the club to a league-best 40-8-3-3 regular season record before being named the league’s Coach of the Year. He was also Head Coach of Team East at the CJHL Prospects game. Prior to his time in Toronto, Dean was an Associate/Assistant Coach with the North Bay Battalion for three seasons (2014-15 to 2016-17) preceded by six seasons as Head Coach of the OJHL’s North York Rangers (2009-10 to 2013-14). “I am honored and excited to be named Head Coach of the Sault Ste. 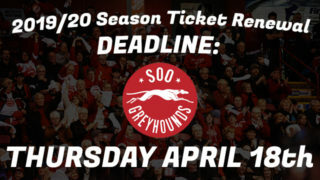 Marie Greyhounds and look forward to carrying on the club’s tradition of excellence. I would like to thank Tim, Kyle and the entire board for giving me this amazing opportunity” started Dean. “I was blessed to be surrounded by an incredible staff and player group last season that has led me to a new chapter in my coaching career. I would like to thank Manny Mounouchos, Mark Joslin, Mike Daley and the Toronto Patriots players for an incredible season and their support in helping me transition to Sault Ste. Marie” he added. 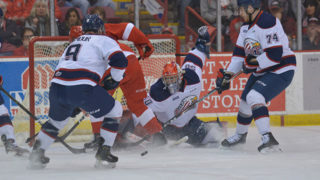 Dean, a forward, spent his Major Junior career playing mainly with the North Bay Centennials before a three-year professional career (2001-02 to 2003-04) with the Amarillo Gorillas of the Central Hockey League. 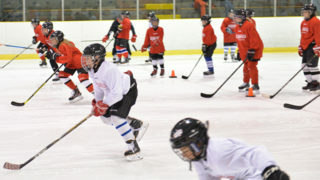 After retiring from pro hockey, the Don Mills ON product earned a degree in marketing from York University while since 2010 he has owned “Players First Hockey”, a hockey development program designed for all ages and skill levels of athletes from house league to NHL players. 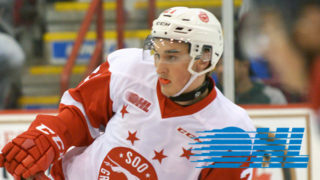 “We are excited to welcome John to the Soo Greyhounds organization. We believe his experience and passion will enable our team to continue on the successful path that we are on” conclude Team President / Governor Tim Lukenda.